Heading south for some sun… and parkrun! The parkrun brand is international and because of that, no matter which country/parkrun you participate in, you will always see the familiar aspects of the event that makes you feel welcomed and right at home. 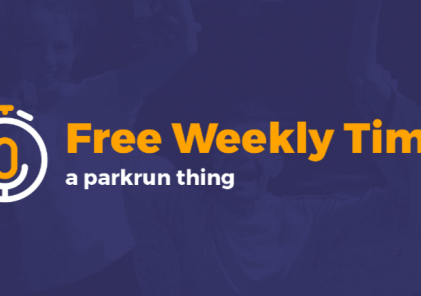 Perhaps even more impactful is the camaraderie that makes parkrun so much fun. It is really just a big family. 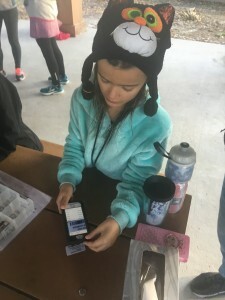 I recently had the pleasure of participating in the Clermont , Florida parkrun as one of the 115 participants for that day. Clermont parkrun has an early 7:30 AM start to beat the heat however it was only 14 deg. C on this day. Clermont is a town in central Florida about 50 Km east of Disney. There is an extensive triathlon and running community down here with endless bike trails as well as being home to the national training centre. The triathlon training centre right on the beach opened this past year as well. You never know what elite athlete will show up to the parkrun. As with all parkruns, it was full of runners, joggers, walkers and many first timers. We all felt welcomed. While participating in the Clermont parkrun I met some fellow Canadians such as the couple from Barrie while passing the mile marker (no metric down here). We had a nice chat about how parkrun is spreading throughout Canada before I had to catch my breath. I also renewed my friendship with Bill from Chicago. 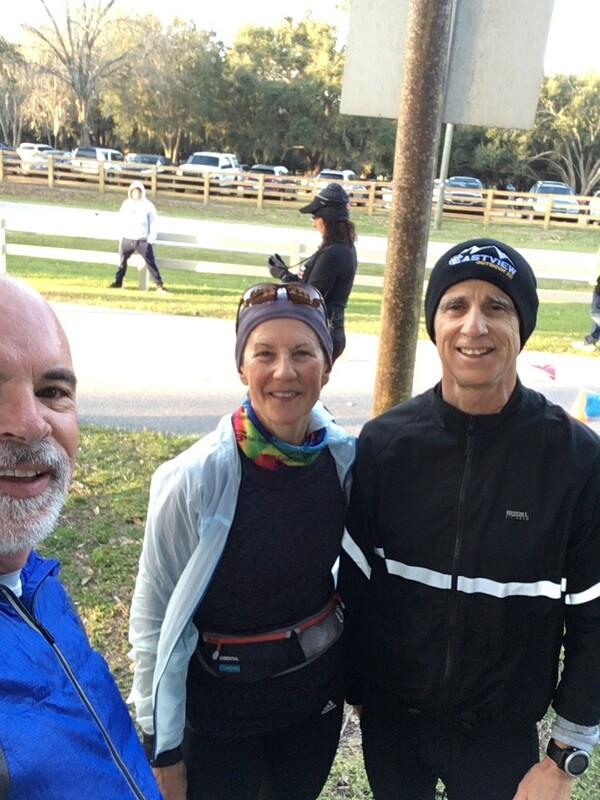 Bill was at the Beach Strip parkrun last summer and recognized me right away. At the post event coffee shop (there is a room set aside at a local restaurant and they provide a 10% discount for parkrun participants) you can see the effort to ensure no one is sitting alone. It was great to catch up with old friends and make some new ones too. Clermont parkrun started in 2013 and they celebrated their 23000th finisher while I was there. 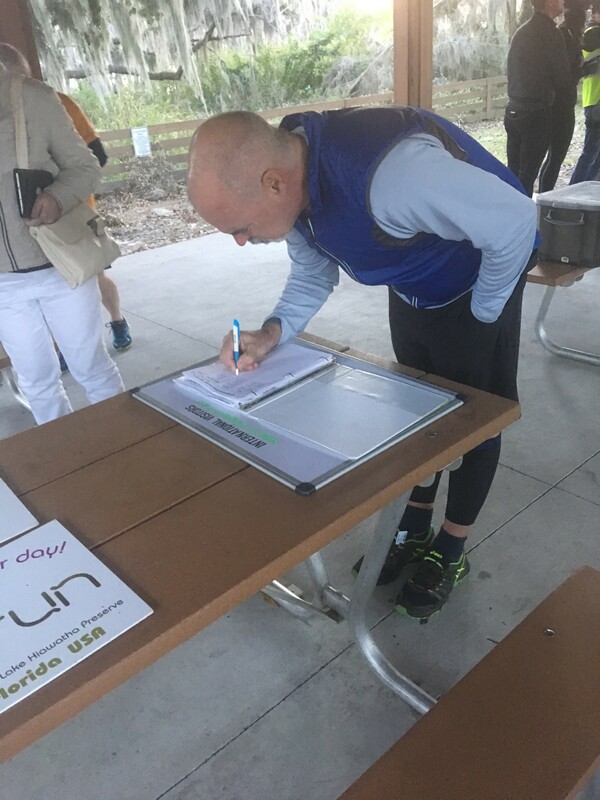 It was also interesting to see some of the local aspects of their parkrun, such as the flags that line the finishing funnel and the guest book for tourists to sign. This has been the 4th different parkrun I have participated in and look forward to many more in the coming year.